Never before in our history as a human race have we been confronted with such grave concerns: the devastation of the environment, global terrorism, vast abuse of political and religious powers, destruction of species and threats to every life form upon this planet. How do we sustain our hope, and our vision of a viable future? Inevitably such disasters are opportunities to draw us together as a people to try to heal ourselves and the Earth. Deena: It is a difficult and sorrowful story that we are in. It requires everything of each of us who have enough love, sorrow and courage in our hearts. We have to find the pieces of this story that may yet sustain creation. 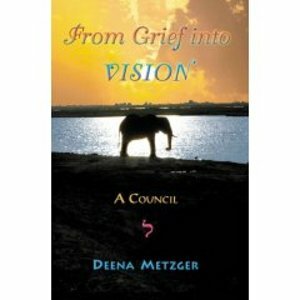 Deena s journey, as chronicled in Entering the Ghost River, continues as she returns to Africa and is once again visited by the male elephant elder she calls The Ambassador . Inspired by this continued connection, she interweaves the threads of her community s stories, dreams and visions to create a new form of council on the page, as an offering to us of the wisdom that the circle creates.